The most recent service of the vending machine was done on January 10th. The T.D.S. (total dissolved solids) results were: County Water 360 PPM. 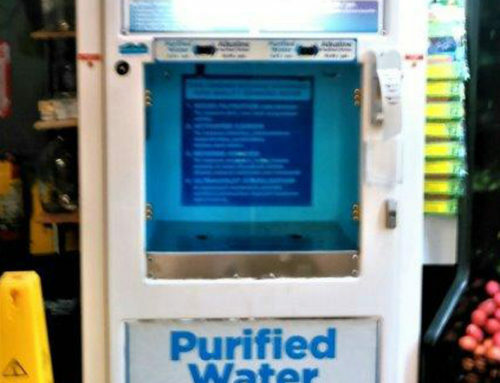 Purified Water 13 PPM. This is a 96 % rejection percentage; excellent quality. 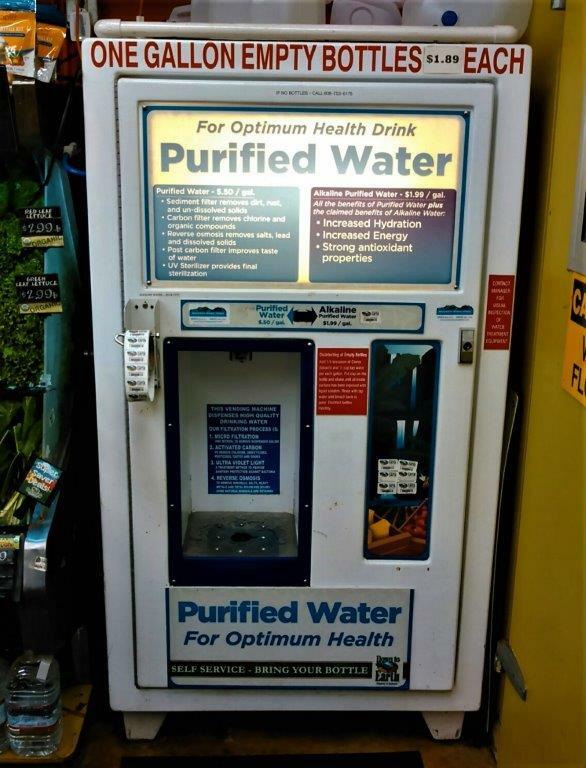 The pH of the alkalized water tested at 9+. During the service the 20” sediment and 20” pre carbon filter was changed. Both post carbon filters were also changed. 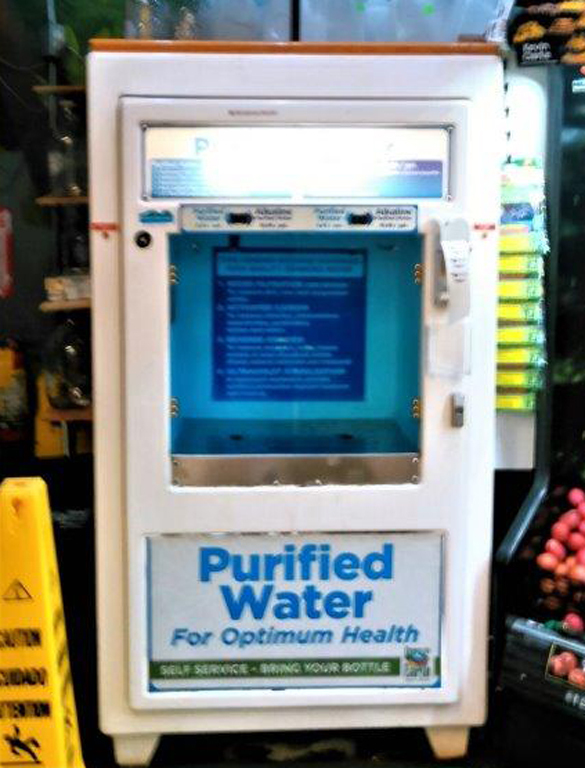 A new delivery pump was installed for the dispensing of the water. 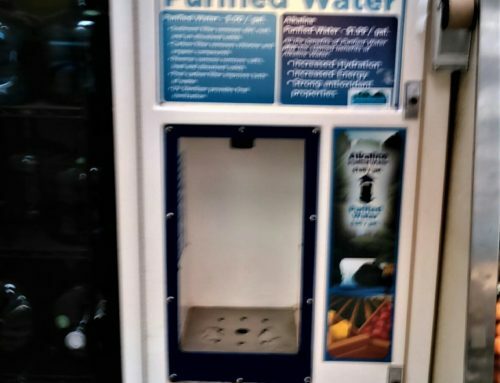 The entire unit, including the dispensing box and the interior of the vending machine, was cleaned and disinfected. This machine is service every two months to insure excellent quality. 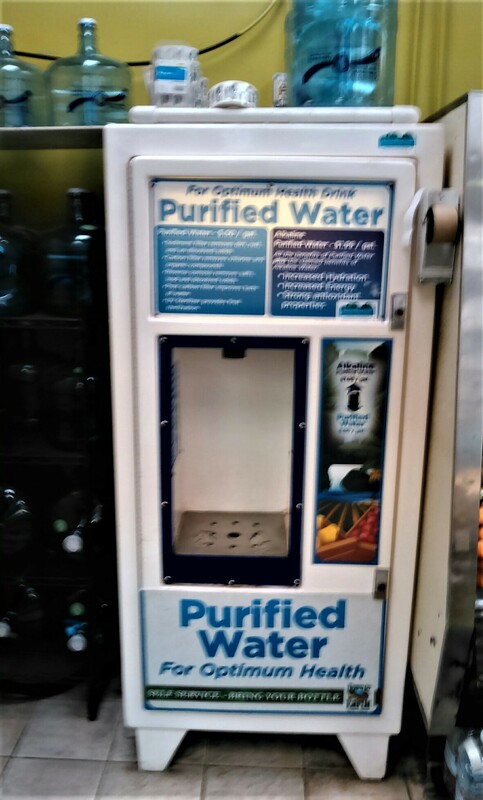 8/30/17 Water Quality 170 PPM of TDS on county water 8 PPM of TDS on purifier water, PH value 9+, Filters changed- 20″ 1 micron pre sediment filter(removes dirt), 20″ 5 micron pre carbon filter(removes organics), 20″ Big Blue radial flow pre carbon filter(removes organics), 10″ post carbon filters 2x’s(removes bad taste and odors), 10″ ultra violet(eliminates bacteria if present) clean and disinfected filling station and vending box.